It’s Thursday, it’s summertime, and the drinking is easy! We’re all about a spontaneous happy hour (see our guide here), so we were excited to hear that Bar Deco recently launched a new summer cocktail menu. 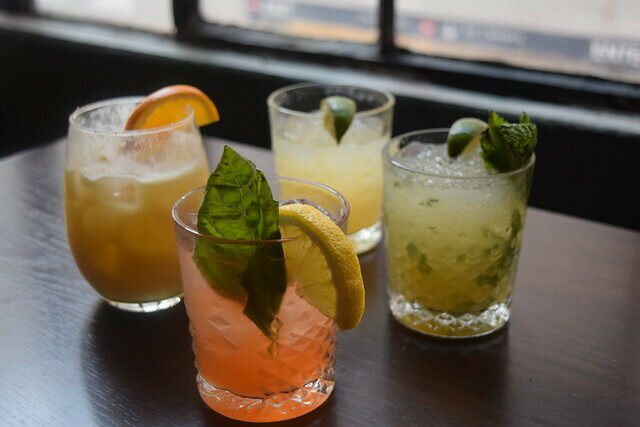 We sat down with Bar Deco’s beverage director, Michael, to try a few of the new additions, which are available on the second and third floor of the restaurant. The cocktail menu always features certain classic cocktails, like Negronis, Old Fashioneds, and Italian 75s. But Michael has designed a seasonal rotation of eight specials. The summer specials are light and refreshing—perfect for warm weather sipping. Annie’s favorite was the Passionfruit Painkiller. It’s a fruity spin on your typical Painkiller, with Denros Premium Gold Rum, passion fruit, coconut, orange, orgeat, and fresh nutmeg on top. 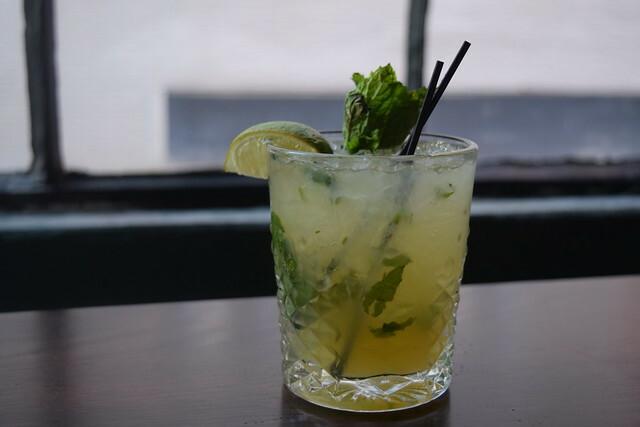 Mint lovers will rejoice for the 6th Street Swizzle. Made with Duquesne Eleve Sous Bois, lime, orange, falernum, and mint, Steph remarked that it tasted like a lighter, Skinnygirl-esque mojito. Game of Thrones fans will recognize the newest GoT-inspired drink, the Sand Snake. 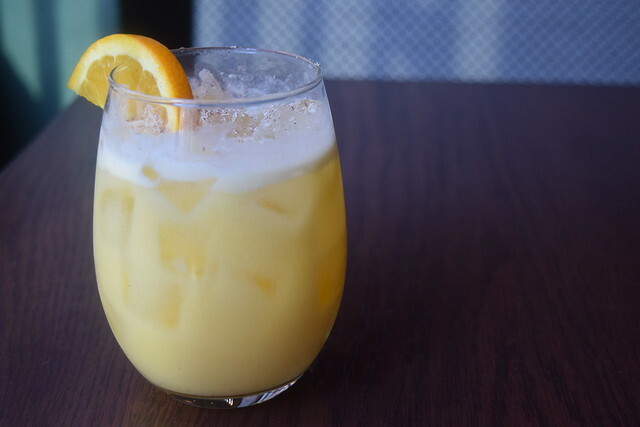 As the name would suggest the La Favorite Rhum Agricole Blanc and pineapple-habanero soda combination gives this cocktail a bite to it. 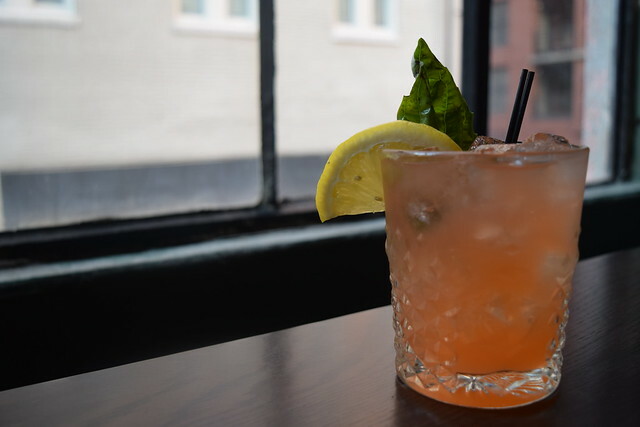 If you missed the Kingslayer, on the last seasonal menu, you missed out—don’t let it happen again..
Steph was a fan of Ruth’s Punch—Ketel One vodka, aperol, lemon, cane sugar, and fresh basil. It’s a pretty pink color and is named after Michael’s mom (awwww!). 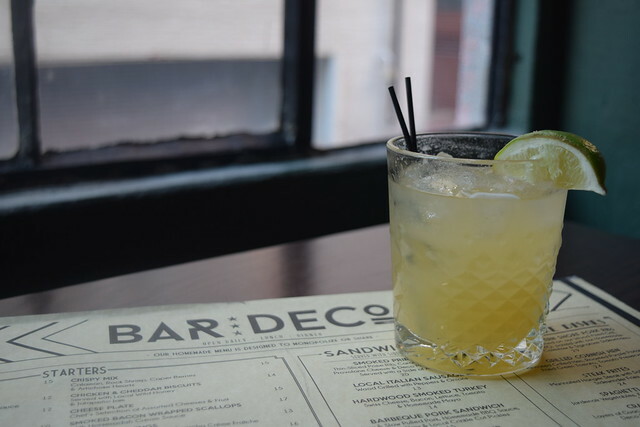 Bar Deco is a great spot for a snazzy drink before a concert at the Verizon Center, or a happy hour with co-workers. Note that the rooftop bar has a different cocktail menu. Deco serves a mean brunch, too. Read Steph’s brunch review here.